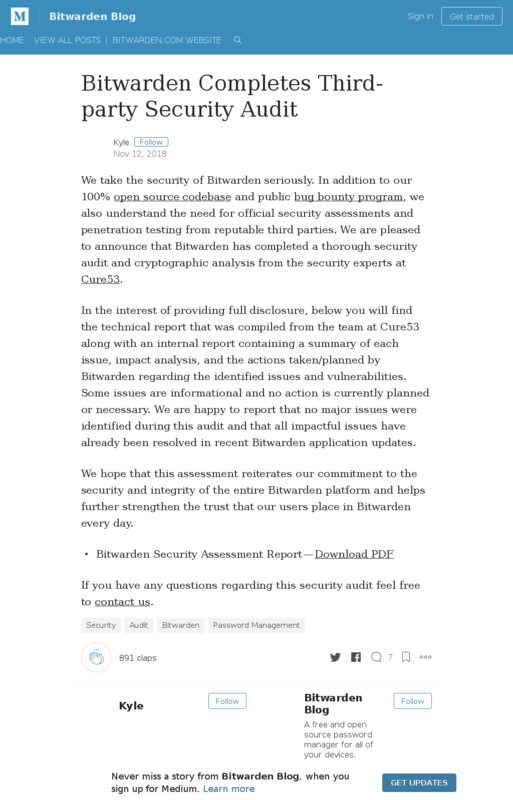 "We take the security of Bitwarden seriously. In addition to our 100% open source codebase and public bug bounty program, we also understand the need for official security assessments and penetration testing from reputable third parties. We are pleased to announce that Bitwarden has completed a thorough security audit and cryptographic analysis from the security experts at Cure53."